“The exact year in which the flight of grantite steps at the southern end of Duddell Street in Central was constructed is not known, but a series of maps of Hong Kong from the period indicate that they came into existence between 1875 and 1889. 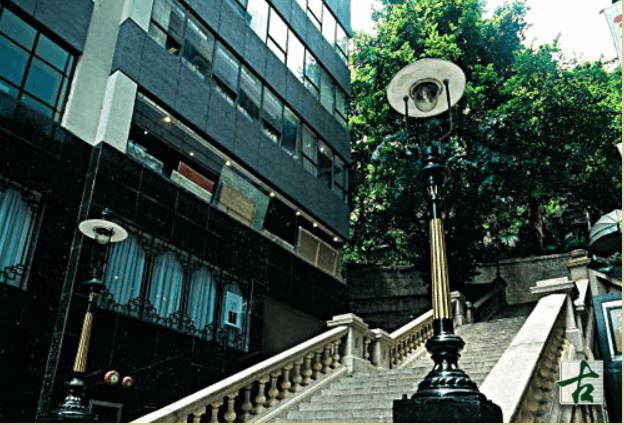 According to the records of the Hong Kong and China Gas Co., the four gas lamps at the top and bottom of the steps have been the only surviving working gas street lamps in Hong Kong since 1967. Incidentally Duddell Street is named after George Duddell who was a Government auctioneer. “Duddell Street Steps & Gas Lamps”. Antiquities and Monuments Office, Government of Hong Kong. This article was first posted on 2nd November 2017. William Sugg Company, London – manufacturer of the Duddell Street Gas lamps?